Contemporary handmade creative glass art, individually designed and crafted in St Albans to brighten up any house. Kiln formed fused glass refers to glass fired, made or altered in a glass kiln. It is an art form where we hand-cut glass, arrange and layer it whilst cold in our studio in Sandridge, St Albans, and then place it in a kiln where it is fired to melt. From a variety of relatively simple techniques, different textures and colours are achieved. We do a lot of experimenting, and this allows you to view a range of glass art ranging from functional to artistic pieces. 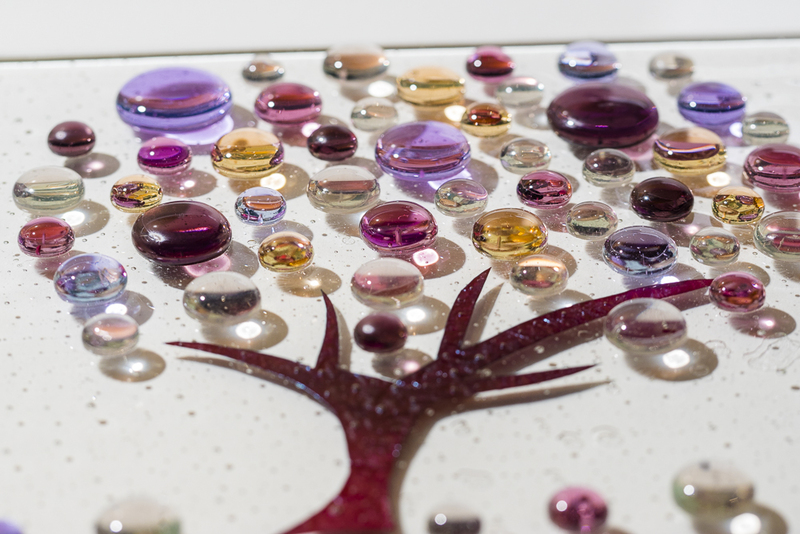 Each piece of glass art is made by us, with no two pieces being identical. We hope you enjoy watching this journey develop, and if you would like a piece specially created for you then please get in contact. Alex, Gavin & the boys.